FOX has ordered the pilot 24: Legacy, a potential new series installment of the groundbreaking and Emmy Award-winning drama franchise. CTU must rely on Carter to go out into the field and facilitate an important exchange in the 24: Legacy Season Finale. Just to chime in on this, something the Fox source left out. The series is picked up for 12 episodes. The series has been picked up for 12 officially. It just was not mentioned here. This is brilliant news, I am looking forward to this and I can’t wait. Really don’t know if the latest 24 reboot should be the end of the franchise but we’ll see how the 12 episode series is going to played out. No KS as JB, no Ronnie. And no more of the stupid comments. Everyone wins! Well then Ronnie, bye then. Make sure the door don’t hit you on your way out wouldn’t you? ;) haha. Such an intelligent, well thought-out statement. 1) The very long shadow of Kiefer Sutherland/Jack Bauer, the new lead is going to have to connect with audiences very quickly if it’s to establish it’s own identity and last more than a single season. 2) The new series will not catch a zeitgeist moment in the way the original iteration did and which made it a pop culture phenomenon. 3) Both the element of surprise and novelty of newness will not be on this new series’ side, everyone is well used to the twists and turns and will be thus looking for the usual 24 story tropes, if the writers don’t come up with something genuinely fresh and original, the new iteration is history. It could all depend on who the writing team is, if it’s the same team as Live Another Day, that might be a problem because as much as I liked it, it didn’t really plow new terrain and often had that ring of over-familiarity about it… if the new iteration does the same, it won’t last. The new season has a very steep upward climb ahead of it, and for a new series starting out, that’s a disadvantage and a dead weight that no new show can afford as it’s trying to connect with an audience. Gerry – Always glad to see your comments! This will be a tightrope addressing your concerns. There is an absolute need for freshness and original thinking with the storyline but at the same time a similar need for continuity as familiar names and events are mentioned or highlighted, woven into the new story ( like a wall or desk picture of Buchanan in CTU LA) . Kiefer’s presence as EP presents the possibility of a cameo; if it happens, the secret will be held tight in a top security vault, taking fans by surprise unless made impossible by any contractual obligations to Designated Survivor. I look forward to seeing how Legacy unfolds! I wish them well in their endeavors, one of the encouraging things about Legacy is the fact that allegedly the producers approached the studio about a new iteration not the other way around, so here’s hoping they have a solid kernel of an idea in place. No Jack in this next chapter? Pardon my ignorance, but does this mean the pilot has already been filmed/produced and the FOX execs have seen it and liked it – or – are the execs just going ahead and picking it up based on faith that it will be good? The pilot is all finished. Dana Walden (Fox exec.) Loved it, she thought it was fantastic. That shows great signs. Hence it was picked up. Hopefully the writers can keep the quality level up. Some seasons have started very strongly, and fizzled (season 6), while others started at a slower pace and built in quality (seasons 1-3). From the pilot description, it seems like this season has the potential to become too “big” (major threat leading to much bigger threat, leading to much bigger threat). Him as an executive Producer means he will have creative involvement with the show! I also see potential that 24 Legacy could get the superbowl post premiere slot! Jack handing himself over to the Russians was him finally accepting responsibility for what he did in NYC four years previously, he’s finally stopped running from the inevitable and faced it head on, plus by doing so, he’s freeing Chloe to go back to some kind of life. Jack has always been about fighting for the greater good and natural justice, and his atoning for the actions he committed in New York – and for which he admitted to Kate that they were wrong and a terrible mistake – restores that natural justice. The little smile Jack gives at the end is (in my opinion) because he knows he’s achieved everything he set out to do, except save Audrey; his family are safe, Chloe is free, the world has been saved once again, and maybe best of all, he knows he can finally, finally rest (albeit in a Russian prison, but he won’t be tortured, it’s not at all like his Chinese imprisonment), and where he will no longer be sucked back into ‘the game’, no more visits to the door leading to 24 subsequent hours of him having to save the country again, he’s truly at peace and able to rest. If it is the last note of the Jack Bauer story, it’s a fair and appropriate one, he was never going to get a happy ending after everything he’s been through, I think the ending of Live Another Day is the best possible outcome short of killing him… and there was no reason for that. We don’t have to see every last action of a character’s life onscreen, had The Bourne Ultimatum been the last Bourne film, no-one would be wondering where Jason Bourne is after he survived his plunge into the Hudson river, we just accept he’s alive and well and living under the radar somewhere. Ditto with Jack, he’s in a Russian prison, probably getting mail from Kim, and taking it easy, who can ask for more than that? The fact that Jack Bauer was supposed to be killed last season but they decided not to kill him means the creators of 24 knew they were going to do a spinoff of 24 called 24 Legacy from when LAD was ordered! This means they kept Jack alive because they have plans to bring him back at some point either in the series or in a movie that will most likely get greenlit for 2017 or 2018 premiere! I wish Kiefer could recur for a few episodes, with a similar role that Harrison Ford had in the new Star Wars movie. Prediction: this reboot will be similar to season 4, with returning fan favorites joining the cast a few episodes in, and the season tying up unresolved story lines from 24: LAD and Solitary. Keeping an open mind. But after screwing us with the stupid ending last time and throwing the Tony escape out there and never doing anything with it, not holding my breath. Then again could be good and they may pull a season 4 and bring some regulars back by the end. But if they go all back to form with moles, cougars, annoying hillbillies, more moles, “Oh no, it could be world war 3 for the 50th time” ugg is all I can say. Didn’t Howard Gordon hint that the Solitary storyline would be integrated into Legacy? I do think they’ll bring some existing characters back for 6-8 episode arcs. He said it may be mentioned, but that was it. Most likely in the Los Angeles area. Sounds like they might have Los Angeles stand in for DC, with occasional DC location shooting in DC like in season 7. Kiefer has flip-flopped so many times with vague innuendos of whether he’s done or he might return – it’s hard to know how to take his RS comments. I guess I’ll take some optimism from him being a producer on the show and the theory that, if the reboot suffers poor ratings at the start, he’d jump in and try to boost the audience appeal with Jack coming into the story. I’m more excited about the other series Kiefer will be in, with the stunning Natascha McElhone as a co-star. Isn’t it likely to say that this might air in September like alot of other shows?. If it airs in September, it might not be able to air straight through, depending on the World Series schedule. It actually can be done though, because Gotham aired 11 straight weeks last fall. They could always air it on a different night as well. With Prison Break airing in the fall, it might make more sense to delay 24 until January or February. Thanks. So filming should resume pretty soon. I bet the writers have already written the next few scripts. It looks like Mary Lynn Rajskub might be available for 24: Legacy. Her new series Highston doesn’t start filming until October, and 24: Legacy should be wrap around September/October since all reports say it’s airing in the fall. Unfortunetely she is on tour in the UK at that time. Thanks for the info. Hopefully she’ll be able to appear in at least a few episodes when she comes back to the US. I think 24 Legacy will air starting in January or February so it airs uninterrupted. Plus Fox may give it the Super bowl timeslot premiere! TV Guide reported the fall air date, so that may not be speculation. 24 can run uninterrupted in the fall even with World Series coverage. Gotham ran 11 straight weeks this fall. They could always air it on a different night during the WS if the schedule doesn’t line up. It actually makes sense to air 24 in the fall. They’d have their two established franchises (24 and Prison Break) in the fall, and the NFL playoffs and Super Bowl to promote new shows. 24 doesn’t need the promotion as much as their other shows do. But it’s possible TV Guide was wrong and they’ll film later. I guess they’d film June-October for a fall air date and October-February/March for a February air date? And a Fall Premiere has not been confirmed by Fox. A fall premeire by media outlets is just speculation! I would rather it premiere in the winter or spring to give the writers more time to work on scripts and film the series! Also if they start filming in the fall, Kiefer can make an appearance along with Carlos Bernard! Designated Survivor finishes filming in October, meaning Kiefer would be available to do 24 from October onwards until season 2 of Designated Survivor! Plus I heard 24: :Legacy will have an on going story for many seasons to come should it do well and possibly lead into a 24 movie! So there is a chance 24 episodes could be ordered! Well that would be great if Kiefer can have a substantial role. October-February filming would work for a February season premiere. I guess we’ll find out at the up fronts. Mary Lynn does have Highston starting up in October. Does anyone know if that show filmed in LA? She could probably work on both shows at the same time (especially if her role would be mostly at CTU instead of on location). Justin, where did you hear that? i hope that 24 legesy to be cancel beacuse of jack!no jack no 24! I’m really looking forward to the new series. These writers are great, you should really check into their work. Hopefully it might improve your spelling/grammar. According to MLB’s schedule, there won’t be any Monday World Series games. I think the rest of the playoffs are broadcast on cable. So 24 Legacy can air uninterrupted in the fall. Correction: that was last year’s MLB schedule. But it looks like the schedule is the same most years. Gotham aired 10-11 consecutive Mondays in 2014 and 2015. I think there’s a chance 24 will be paired with Gotham in the fall, on Mondays, and Lucifer will take over the timeslot in January. According to Production Weekly, filming for 24: Legacy starts this summer in Los Angeles. Late June/early July seems like a likely start date if they’re going to air in the fall. Any word on who will do the sound track? I wonder if they will use the same theme song as before – although I believe Sean Callery has said that the 24 Theme song has an alternate title of “Jack Bauer’s Theme”. This is true… in the last seasons, I missed the 24 Theme being played when Jack’s first appearance on the season. So is this a full blown new show (which may be picked up for more) or just a limited series event like Live Another Day? Depends on ratings, I’m sure. Question is: Do they keep calling it ‘Legacy’ if it continues or do they give another name for every season? I personally want it to be over. I hate the elongating of 24. I want a series that ends. I’m also hoping this is all about Jack Bauer and Tony Almeida in some way. Hopefully they are just giving us new characters as people that recruit Tony to stop Jack Bauer, the villain. I’m desperately hoping they Season 4 this thing. Can’t believe its been 2 years since Live Another Day premiered…. I actually like that Nikki Toscano is added to the writing and producing team of 24 Legacy! New writers and Executive Producers brings in fresh new idea’s and new and fresh storylines! Very exciting times ahead for 24 :)! First time the show’s had a female writer/producer since Andrea Newman in Season 1! They had novelist Elisabeth Cosin too (S2), but she was a Story Editor, if I remember correctly. Turns out Nikki’s married to Salvator Xuereb, who played Arthur Rabens in the S3 finale…. 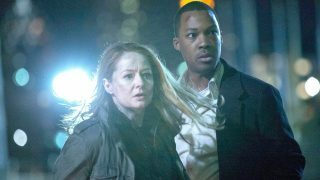 24 Legacy will Premiere after the superbowl and start filming around September! Jack Bauer and Tony Almeida coming back along with older characters who are still alive is very much likely, confirmed by Executive Producer Manny Coto! Also a 24 movie could happen in the near future and more seasons of 24 Legacy could happen if 24 Legacy is successful :)! Well that sounds promising, especially since it was confirmed by Manny Coto. Somebody on the 24 movie page on fb posted that same info that Justin described. So I suggested by saying break lagecy into two parts like they did for season 7. Have the first half of the story establish the new leads & stories. & then wrap it up let’s say by episode 6 or 7 or whatever. & then have the second half be about jack in the raussin prison & tony & who ever else they decide to bring back. Have lagecy sorta do a transition that would make more since imo & not put kiefer in a secondary role or something. But that that jack kinda takes over story wise. Rob I looked the other day & I couldn’t find it eaither. But I posted on that specific post myself. Not sure what happened unless someone deleted it. Manny Coto said this is a spinoff, not a reboot, so old characters can return. Re: the possibility of returning characters. When the pilot was announced, most media outlets reported “no returning characters” but I think that was always in reference to the pilot episode itself. They wouldn’t even be allowed to hint at returning characters before the series was officially ordered. IMO, it’s not a true spinoff unless original characters appear. The CSI/NCIS/Law and Order shows all have characters crossing over.